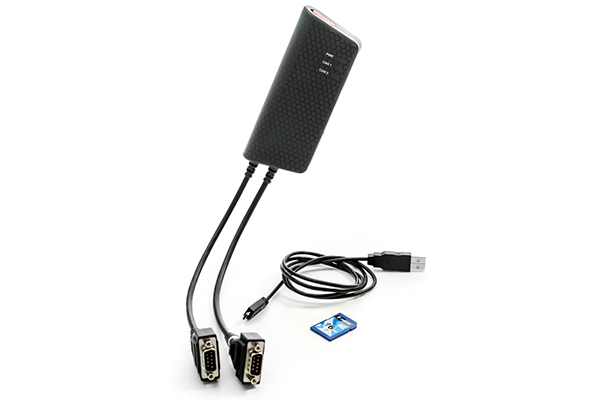 New 2-channel CAN/CAN-FD datalogger and USB interface with user scripting - MACH SYSTEMS s.r.o. Kvaser has released Kvaser Memorator Pro 2xHS v2, a new multifunction 2-channel CAN-USB interface and a stand-alone datalogger with CAN FD and user-scripting support. Kvaser Memorator Pro 2xHS v2 A 2-channel CAN-USB interface and datalogger with user scripting. CAN channels have galvanic isolation. The device allows to act as a PC interface and also as a data logger when communication is saved onto an SD card. The interface also supports a stand-alone mode which provides the user with the scripting possibility. This allows the user to write custom programs in C language and load them onto the interface.